Jen is a native Floridian and has called Orlando home since the year 2000 when she moved from Florida’s West Coast to attend the University of Central Florida. While a student at UCF, Jen interned at a real estate and mortgage brokerage where she discovered her passion for numbers. 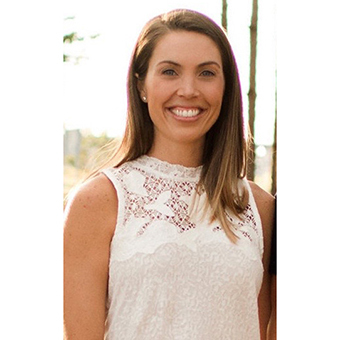 In 2004, after graduating with a degree in finance and obtaining her real estate and mortgage broker license, her internship turned into a full time position at Winter Park Investment Properties, Inc. It was there that she learned the integral parts of a transaction by working as both a Realtor and Mortgage Broker. In 2006, Jen decided to make a change and pursue the other side of real estate - title and closings. She worked for a real estate attorney and performed title searches, prepared title commitments and handled closings. Having made an impression because of her dedication to the task at hand and attention to detail, she was promoted to a paralegal. Jen joined Amy's team in 2014. She brings her legal background coupled with her real estate and title experience to effectively manage each transaction. Jen makes sure that every “t” is crossed and “i” dotted. From preparing the offer, coordinating inspections, to scheduling the closing, Jen works with Amy and her team each step of the way to handle every aspect of your transaction from contract to close.